Adbank is creating an incentive mechanism for End Users to view the banners displayed by the Adbank Network. 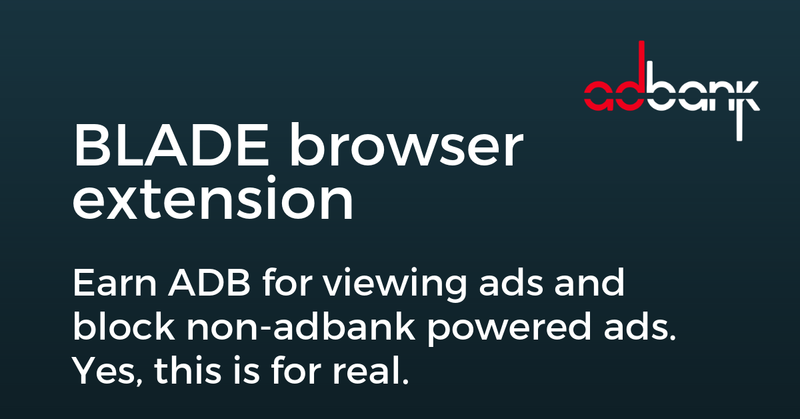 With the new browser extension under development (BLADE), End Users can earn Rewards (ADB tokens) for viewing adbank network banners in 2019. 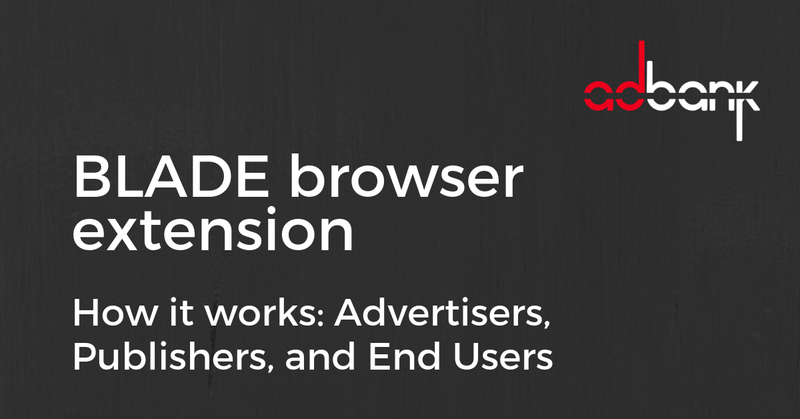 And what’s better, the extension will block all non-adbank ads and will be browser agnostic. Adbank network is reinventing digital advertising by providing full transparency and control to all participants. 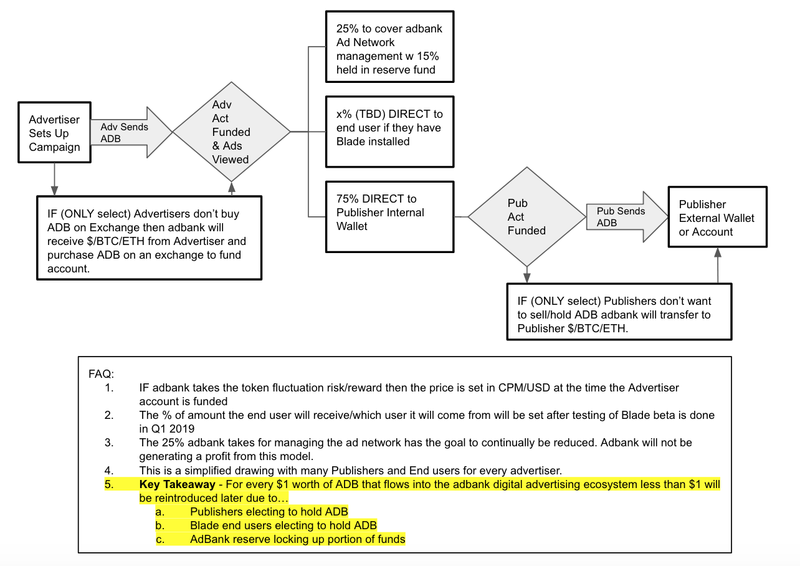 In adbank’s new digital advertising model, all participants control information and End Users can earn Rewards (ADB tokens). The participant roles remain the same: Advertisers, Publishers, and End Users — But with the full transparency of blockchain verifying all steps and transactions PLUS end users now receiving tokens when they view ads. The extension reads the publisher website being loaded within any browser (extension to be launched for the chrome browser first), finds the adbank banner and provides the Reward so the End User is motivated to continue viewing the banners or visit another publisher’s website. Locations that this will be available to is still to be determined. To further incentivize End Users, the BLADE browser extension will send a notification of recently added and matched Publisher websites so the End User can visit the websites and gain Rewards (ADB tokens). As well, the BLADE browser extension will send End User notifications of the amount of Rewards ready to be claimed. 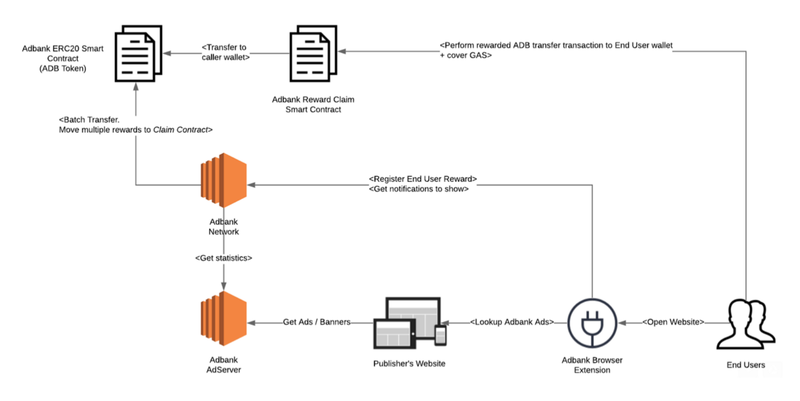 Adbank network uses their token contract (ERC20 smart contract) to perform a bulk transaction to make rewards available for claiming and notifications are generated for every End User. End User claims are then facilitated by a second smart contract. In this payout model, adbank network pays the fee for the bulk transaction, and the End User pays the fee for each claim transaction. If you thought getting rewarded for viewing quality ads was great — remember that BLADE will block all other ads for you, too.